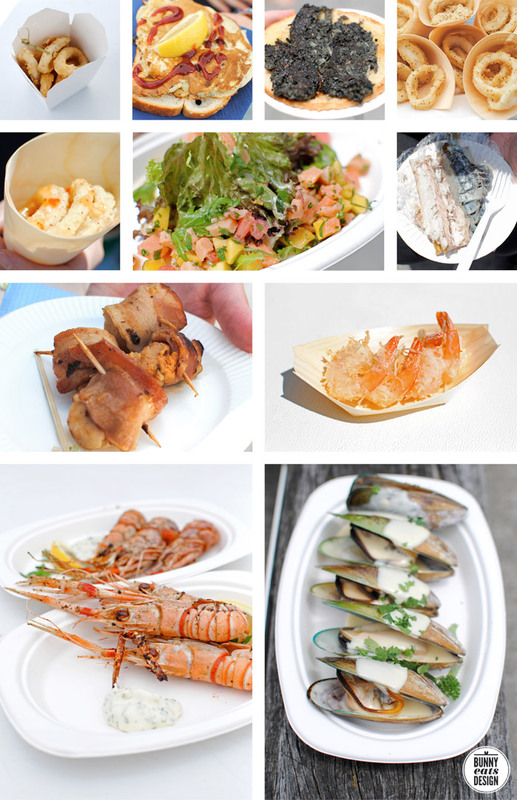 I’ve been gorging on seafood and booze all weekend and today is the final day of the Auckland Seafood Feastival. Please note, it wasn’t until late afternoon that I realised that it was a feastival rather than a festival. On a blue skied Saturday, I attended with my three of my friends at the opening time of 11am and we didn’t leave until closing around 6pm. I would say we gave it a mighty good bash. I’d been raving about Scampi Street since last year so we grabbed two plates of BBQ scampi to share. Scampi Street was slightly relocated this year and didn’t have the same “street” or alley feel. I recently learned that scampi are known as langoustine so if you know that term for it, you’ll know that these are sweet and fleshy and can be good eating. The scampi were smaller than last year’s and were not cut in half (crayfish style) for easy eating. The result was messy and a little disappointing. 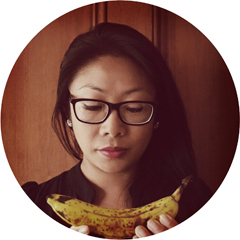 After I’d hyped it up so much, I wish I’d kept my big mouth shut. 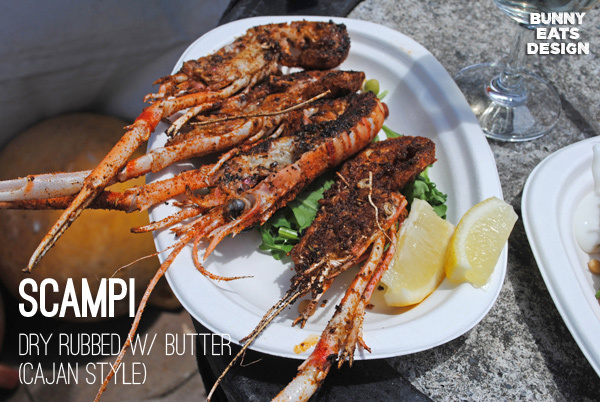 Click here to see last year’s glorious scampi. We gave the Wild Food Challenge a miss this year, though I’m glad I did it last year, it’s a great way to tick off some boxes on your seafood bucket list. I saw many people tucking into their challenges though and for $12, it’s a good way to try six unusual seafoods. The tastiest thing I ate all day were the scallops wrapped in bacon. I guess it’s hard to go wrong if you love scallops and bacon. This year I spent $57 which included 4 dishes and 4 drinks. I felt like last year’s event was more festive in general even though I drank more this time around. Last year there were more nautical decorations and more stalls. There was entertainment last year including beautifully dressed stilt walkers as well as world class buskers. It felt more like a show or circus. We felt sorry for this year’s volunteers that walked around all day carrying heavy balloon mascots. I worked at last year’s one in the VIP section waitressing, it was difficult at first seeing everyone enjoy the feastival while I had to work, but the free food at lunch and the amount of Salmon and posh cheeses we got to take home actually made it feel like a pretty good deal! Sounds better than most jobs. I would like to let it be publicly known, that I am willing to work for salmon and posh cheese. A wage would only be the icing on the cake. Ah jealous, wish I went too! It’s expensive if you consider it a meal, but as entertainment that includes food, it’s not too bad.